LOCAL OFFICIALS IN a Washington neighborhood have voted to rename a street outside Saudi Arabia’s embassy in honor of journalist Jamal Khashoggi. Khashoggi - a US resident – was murdered in the Saudi consulate in Istanbul in October. After initially denying his murder, Saudi Arabia has acknowledged that Khashoggi was killed inside the consulate but blamed his death on a “rogue” operation. Top officials from the administration of President Donald Trump have said that they have seen no direct evidence linking the murder to Saudi Crown Prince Mohammed bin Salman, but the CIA reportedly has found a connection. 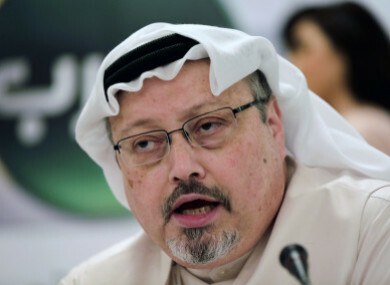 “We suggest renaming the street address of the Saudi Embassy into Jamal Khashoggi Way to be a daily reminder to Saudi officials” that such killings are “totally unacceptable and as an expression of Washington’s unstinting support for freedom of the press,” the petition states. Email “Street by Saudi US embassy could be renamed 'Jamal Khashoggi Way'”. Feedback on “Street by Saudi US embassy could be renamed 'Jamal Khashoggi Way'”.